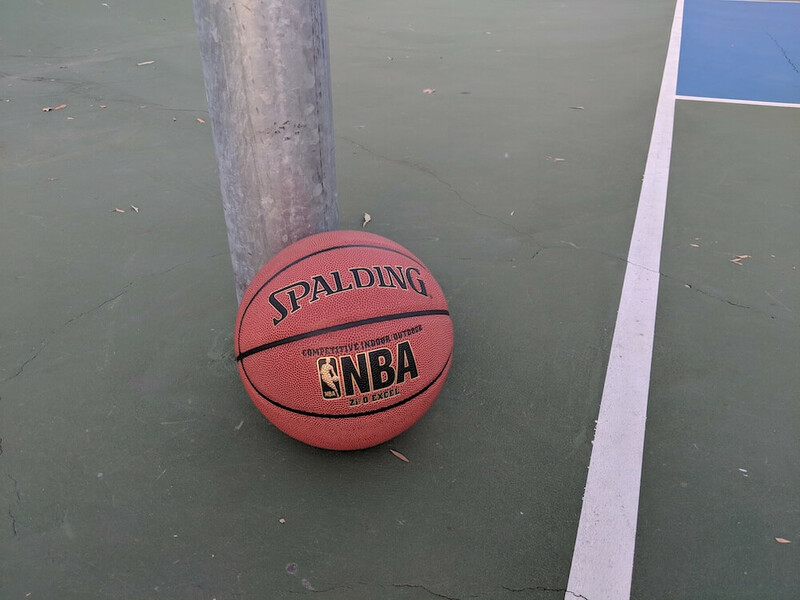 After a grueling series of tests, we concluded that the Spalding Zi/O Excel is the best outdoor basketball due to its superior grip in all conditions, its ability to retain air pressure, and its overall build quality. Although the Molten FIBA GM7X is a great basketball in its own right, the Spalding Zi/O Excel is our pick for the best outdoor basketball. 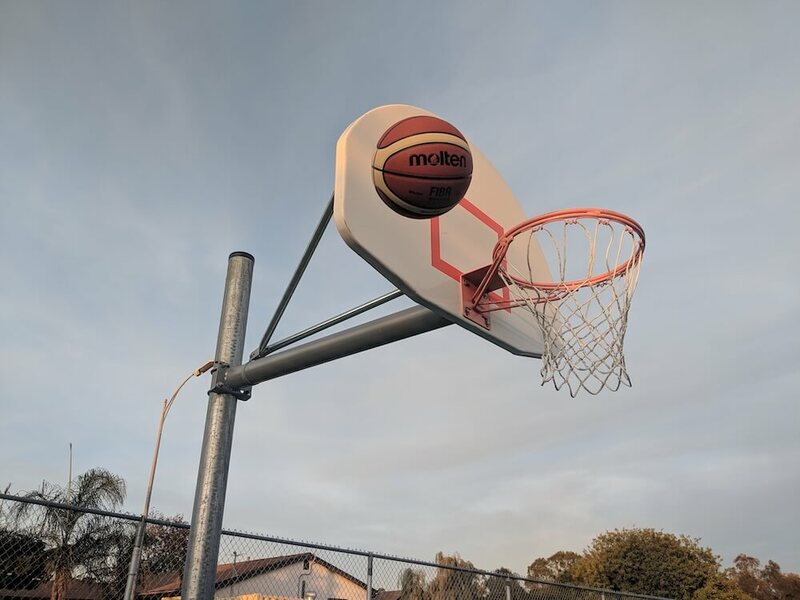 Whether it’s your first time buying an outdoor basketball or your old basketball wore out, all true basketball players and enthusiasts need an outdoor basketball. Just like most products, there are a ton of options when it comes to outdoor basketballs. To help you make the best purchase possible, we took two of the premier outdoor basketballs and pitted them against each other to see which will be crowned the best outdoor basketball. There are two types of outdoor use basketballs to choose from: indoor/outdoor and outdoor only. Indoor/Outdoor basketballs are typically made of composite leathers, while outdoor only basketballs are typically made of rubber compounds. Indoor/Outdoor basketball’s superior materials make them more grippy, however, they will degrade faster than outdoor only balls for the same reason. We decided to compare indoor/outdoor basketballs instead of outdoor only basketballs because of the better grip and feel. So this review can double as the best indoor/outdoor basketball as well. 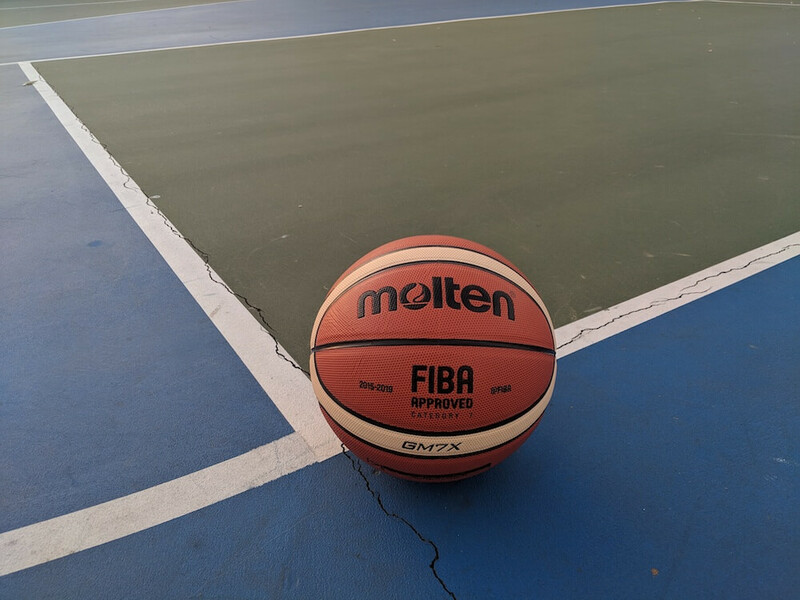 When choosing the two best indoor/outdoor basketballs, we decided that choosing composite leather balls would be the best as they seem to have the best reviews and we have had great experience with them. In the United States, Spalding has the most options for and the most popular indoor/outdoor basketballs. To narrow down the best ball, we researched reviews on all of Spalding’s indoor/outdoor options and it became apparent that the Zi/O Excel was the latest and greatest indoor/outdoor basketball that Spalding has to offer. Previously, this ball was just known as the “Zi/O,” but Spalding revamped the ball giving it wider and deeper grooves for improved grip. The Molten FIBA basketball is by far the most popular basketball outside the United States. It is widely used across professional European basketball leagues, and as its name suggests, is the official ball for the International Federal Basketball Association (FIBA). Recently, the FIBA basketballs have become more popular in the United States. They have amazing reviews and have a very competitive price point. 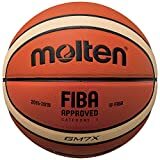 The indoor/outdoor version of the Molten FIBA is the GM7X. Only the Spalding Zi/O Excel came fully inflated, while the Molten FIBA GM7X came completely deflated. The only problem with a basketball shipping deflated is that when you initially pump it up, it has creases where it was folded that remain for several weeks. The Zi/O Excel feels very grippy right out of the box and has a slightly squishy surface. 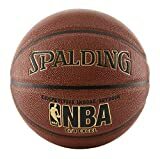 It’s grip, however, feels fake, as if Spalding put a layer of some sort of sticky substance on the surface of the ball. We really liked the wide and deep grooves on the Zi/O Excel. The FIBA GM7X (after pumping it up), has a smooth surface with very shallow grooves. The surface feels more like a true leather surface, and the grip feels very natural. The FIBA GM7X felt unusually heavy when compared to the Zi/O Excel. Overall, the Molten FIBA GM7X felt like it was made of more quality materials and surprised us with its natural leather feel. We found both basketballs cost around $30. Although not as cheap as a rubber basketball, $30 will buy you an outdoor basketball that will last. To truly determine which basketball is the best, we had to create objective tests to put each ball through. As you can see, the Spalding Zi/O Excel had an average of 0.13 oz left on the ball after the water wicking test, compared to the Molten FIBA GM7X’s 0.23 oz. The Zi/O Excel clearly beat the FIBA GM7X at this test. This would lead us to believe that the Zi/O Excel would be the better performer in wet conditions. Both basketballs provided excellent grip on dry, cleaner surfaces. Both were easy to dribble and shoot consistently. The grip they each provided came close to that of a far superior indoor only basketball. Surprisingly, the FIBA GM7X was significantly easier to dribble while wet. It rarely slipped out of any of our testers’ hands. The Zi/O Excel on the other hand, performed decent, however it slipped out of our hands a lot more than the FIBA GM7X. The Zi/O Excel proved to greatly outperform the FIBA GM7X in terms of wet shooting. The deeper and wider grooves made the ball easy to grip and we were able to get consistent releases with great ball rotation on our shots. The FIBA GM7X was very slippery on the release, making it near impossible to get consistent feel for shots. We took both balls to a local court that we knew had plenty of dust and dirt. After dirtying up both balls sufficiently, we wanted to see how each handled these conditions in terms of dribbling and shooting. Both the Zi/O Excel and FIBA GM7X disappointed us in terms of their grip while dribbling. However, the FIBA GM7X performed worse than the Zi/O Excel. The deeper pebbled surface on the Zi/O Excel was able to give us some control versus the FIBA GM7X’s relatively flat surface. The Spalding Zi/O Excel’s deeper and wider grooves once again were able to make it a better basketball to shoot while dusty or dirty. When other areas of the ball were slippery, the grooves made shooting easy and repeatable. The Zi/O Excel clearly outperformed the FIBA GM7X in terms of dusty/dirty shooting. Overall, the Spalding Zi/O Excel and the Molten FIBA GM7X surprised us with their excellent grip on clean and dry surfaces. They handled wet and dirty conditions as expected, as no basketball will ever be very grippy in those conditions. 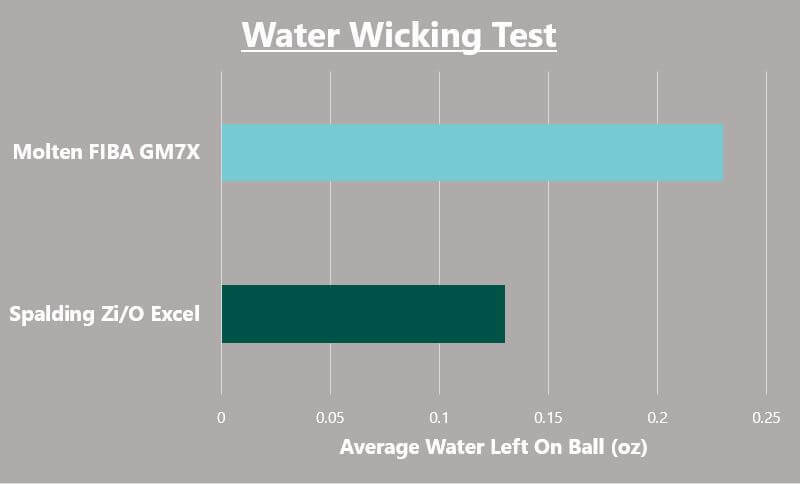 Overall, either ball has great grip, but the Zi/O Excel has the advantage over the GM7X. As you can see, both basketballs lost a considerable amount of pressure, which we really didn’t like to see. 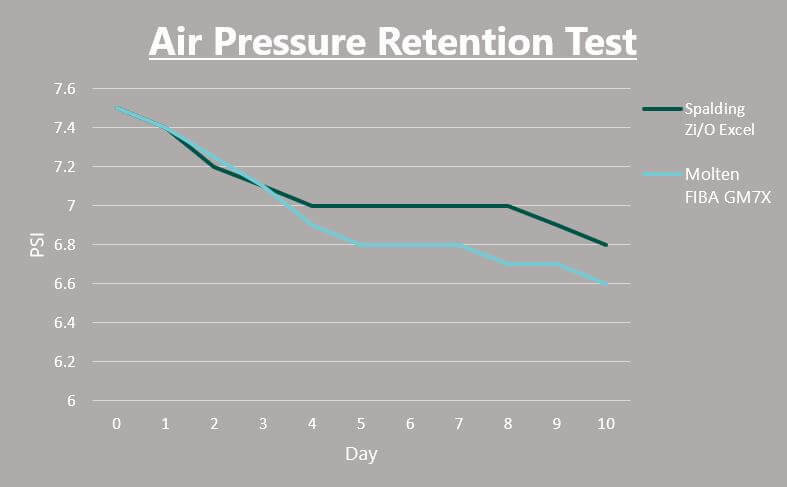 However, the Zi/O Excel lost slightly less pressure over the 10 days than the FIBA GM7X, so it gets the nod here. Both of these basketballs are awesome outdoor basketballs. They both have good grip, are made of quality materials, and should last for a long time even if used on the roughest of courts. 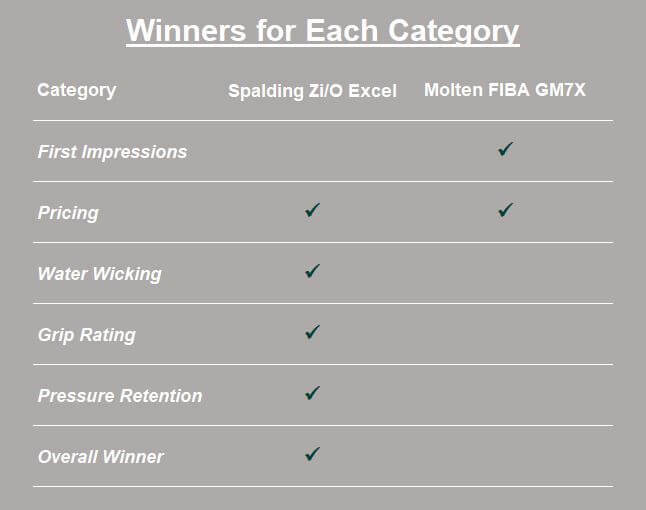 Throughout our testing, however, the Spalding Zi/O Excel was able to better the Molten FIBA GM7X. In our eyes, the Spalding Zi/O Excel is the best outdoor basketball. This is a personal preference, as some people dislike deep grooves, while others need them. We felt that the deeper and wider grooves on the Spalding Zi/O Excel gave it better grip and feel in outdoor conditions. However, if we were going to use the ball indoors, the Molten FIBA GM7X’s smooth surface would’ve been our choice. The Molten FIBA GM7X being significantly heavier than the Spalding Zi/O Excel was a negative for us. It seemed heavy enough that we had to compensate for the weight while shooting. We don’t typically like to ever have to compensate on our shot for any reason. However, if conditions are windy outside, the extra weight would actually be a benefit as the wind wouldn’t affect the trajectory of the ball as much. So if you live somewhere windy or if you plan to play in windy conditions often, the FIBA GM7X would be the ball to get. While both basketballs impressed us with their quality and feel, the Spalding Zi/O Excel performed better than the Molten FIBA GM7X in most aspects. 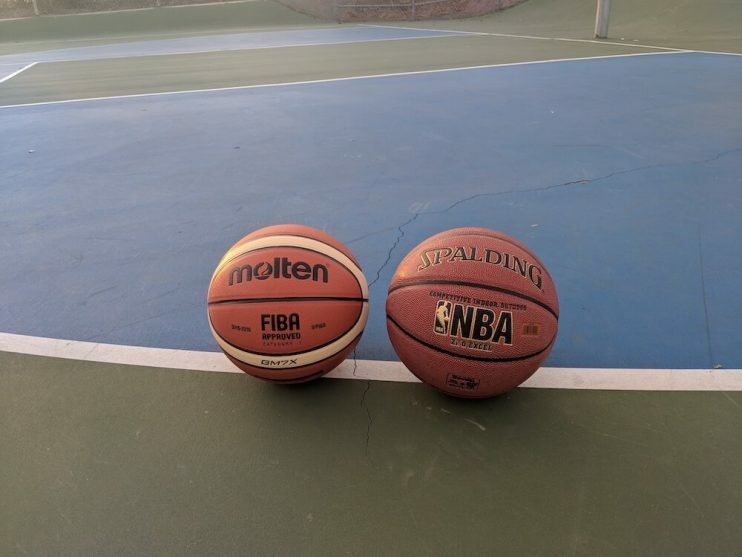 As indoor/outdoor basketballs, both would be great as outdoor only basketballs, and at the end of the day, you can’t go wrong with purchasing either basketball. For purposes of crowning the best outdoor basketball, we have to give it to the Spalding Zi/O Excel. Take your game to the next level with the best outdoor basketball – the Spalding Zi/O Excel.